The key to this look is contrasting your oversized blazer with skinnies or a slim fitted pair of trousers. The good news is there are lots of high street and online stores that sell tailored blazers for affordable prices. Take ASOS for example, I’m just loving the range of tailored blazers on their platform. Now for my ladies who are all about wearing androgynous fashion from head to toe, lets talk business- there are so many options to choose from. 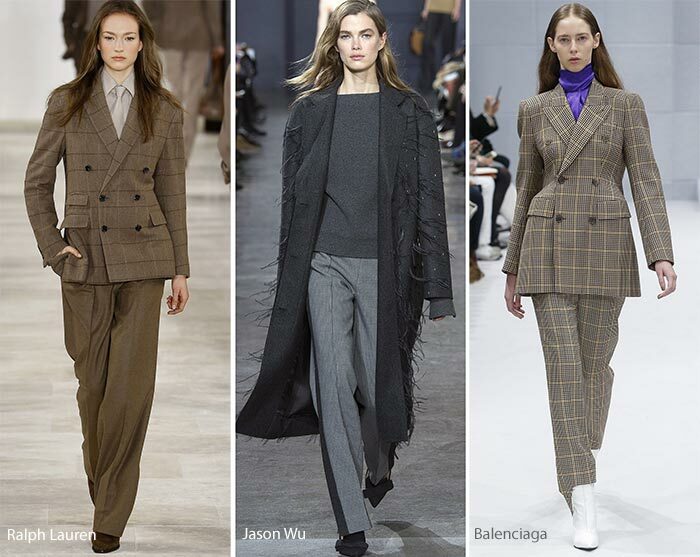 For instance, do you want to go all out and swagger in a Bianca Jagger 3-piece loose fitted trouser suit? Then of course there is the classic black trouser suit for work, perhaps for after-work drinks you’ll dare to wear your suit sans blouse as modelled by Victoria Beckham. So are you now hooked on androgynous fashion? Btw Big Thanks to all of you who left me lovely and supportive comments on my last blog post about my image getting used on The Lady Loves Couture social media platforms without my permission or giving credits. I sent them a message on Wednesday (26th) on their blog and Instagram giving them the credits to use for the image and surprise, surprise- it’s been 48 hours and not a peep squeek from them and the image is still up on their platforms with no credits. I have put a post about this on my Facebook Page, it is pinned at the top, I’d really appreciate it if you could Share it on your Facebook Pages, I’m hoping that when The Lady Loves Couture sees that this is something they can’t just ignore to make go away that they will finally respond to my message.